Samsung drops so many new devices each year that it's quite difficult to keep track of them all. 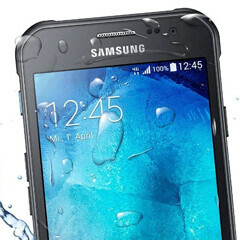 The best part of ten months ago, the firm launched the Galaxy XCover 3 -- a device with budget specs at a budget price. The main draw is its ruggedness, with an outer body remnant of the much more expensive Galaxy S6 Active. Now, Sammy has delivered an updated version of the device known as the XCover 3 Value Edition, which retains the same hardware but boasts Android 6 Marshmallow off the bat. Aimed at those seeking a no-frills smartphone built to withstand the elements, the XCover 3 Value Edition is technically identical to the one-year-old model. Given the device's target audience, it would make little sense for Samsung to spend money in making changes for a customer base that, by and large, just wants the thing to work. Since the XCover 3 arrived two years after the preceding XCover 2, though, there's a good chance that a new-and-slightly-improved model could be on the cards for sometime next year. Like the standard version, the 4G-ready XCover 3 Value Edition is MIL-STD 810G-certified, and will also keep dust and water at bay with its IP67-certification. The specs include a 4.5-inch, 480 x 800 display, a 5 megapixel rear camera and a 2200 mAh battery. Powering the handset is a quad-core Marvell Armada PXA1908 SoC along with 1.5 GB of RAM, and there's 8 GB of on-board storage which, thankfully, is expandable. The XCover 3 Value Edition will hit the market at €220 ($250), which is 50 bucks cheaper than last year's version. The original XCover 3 began life in Europe before making its way to the U.S. via Amazon. With this in mind, it's probable that the Stateside market won't see the device immediately, though we'll keep an eye out for any further info. Would you buy it for $250? Let us know what you think of the XCover 3 Value Edition in the comments. Samsung Galaxy X-Cover-3 Value Ed... Who the f**k in samsung keeps picking long corny names as if they're selling military surplus products? They should go for short easy words If they want their brand to stick in people's brains. 250 seems to high for such a low end handset, but could be justifiable by its military grade protection. If I wanted a phone that was rugged that made and received my calls and could get me on the Internet then yeah I might would buy it. I'm already looking forward to a few months before Samsung will release something like samsung S6 Active Europe. The XCover 3 Value Edition - 5 megapixel camera :). Turn up Europe samsung S6, active, or it is better to buy an iPhone-se.